Beating the Blues is a CBT-based computer self-help course for people who feel anxious, stressed, depressed or down. The course was developed by the Institute of Psychiatry at Kings College in London. It works by helping you to understand depression and anxiety and showing you how to think and behave in more helpful ways. It also gives you new skills for living more positively in the long term. Beating the Blues is made up of eight weekly sessions lasting about 50 minutes each, with weekly projects to do in between. It’s completely confidential and sessions can be completed at times that suit you. Beating the Blues is suitable for anyone aged 18 or over who feels anxious, stressed, depressed or down. You don’t need to have a diagnosis, or experience of using computers or the internet to access it. You can access Beating the Blues through a referral from your GP or another healthcare professional. 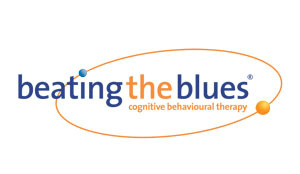 You will then call your Beating the Blues Centre on 0845 600 2866 or email btb@connectassist.co.uk to book your first session. For the first session you will watch an introductory video that gives you background on the course and tells you more about anxiety and depression. At your next visit you will be able to begin your sessions. Beating the Blues is available on the NHS in some areas. To find out if it’s available in your area email ultrasis@ultrasis.com or call 020 7535 2050. Or you could ask your GP or healthcare professional. You can also pay to do the course privately. It costs £149 and you can buy it from the Wellness Shop.